I have used this product for years. 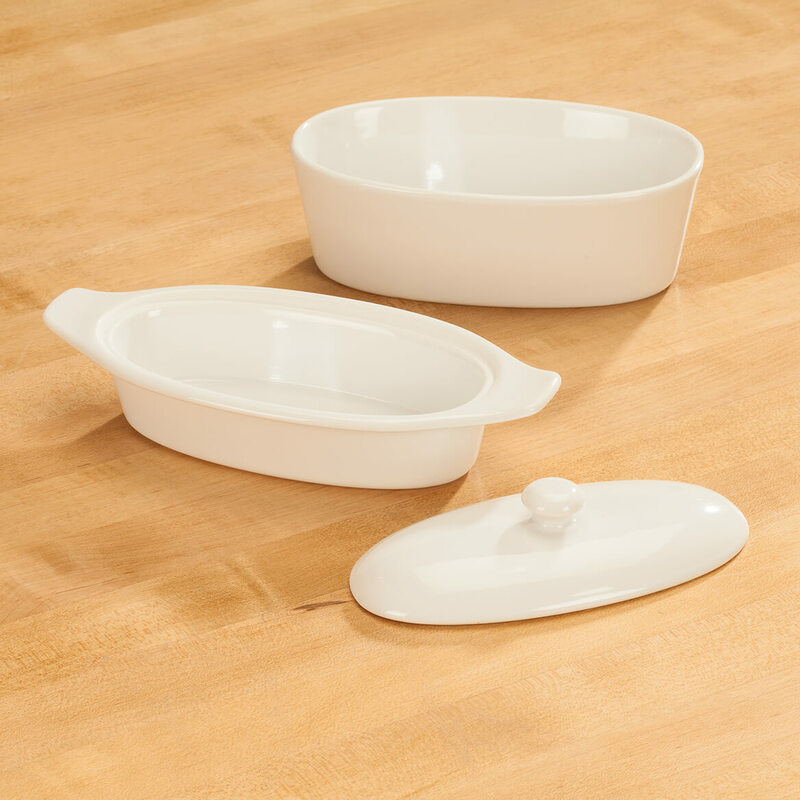 You can leave butter on the table and it is always spreadable so you use less. Just change the water every few days and the butter lasts for a long time. 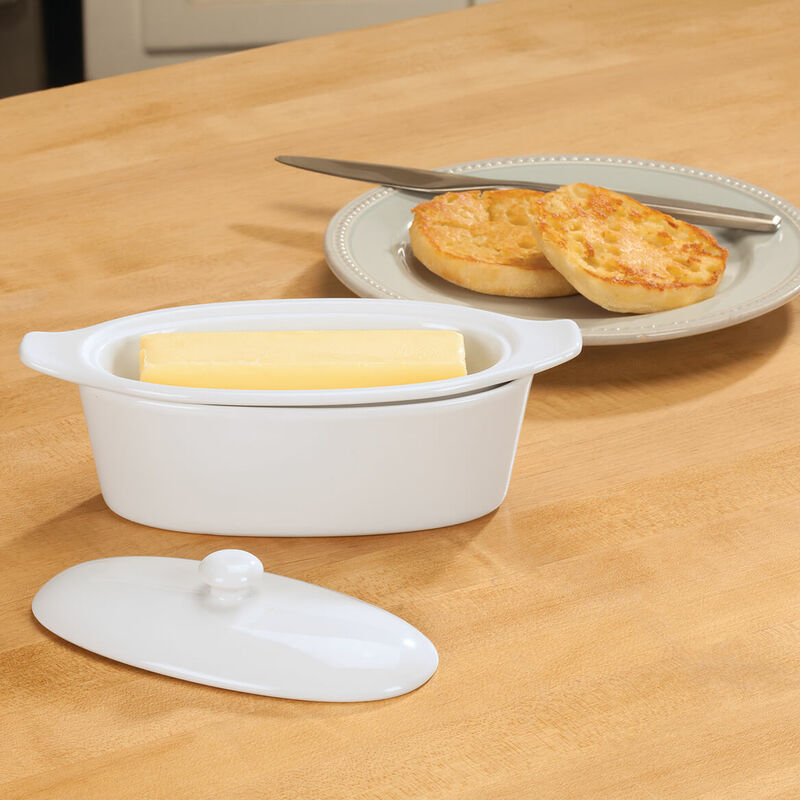 If I had one wish it would be to place the insert handles elsewhere, can't tell you how many people have used them to lift the butter keeper and leave the bottom behind. 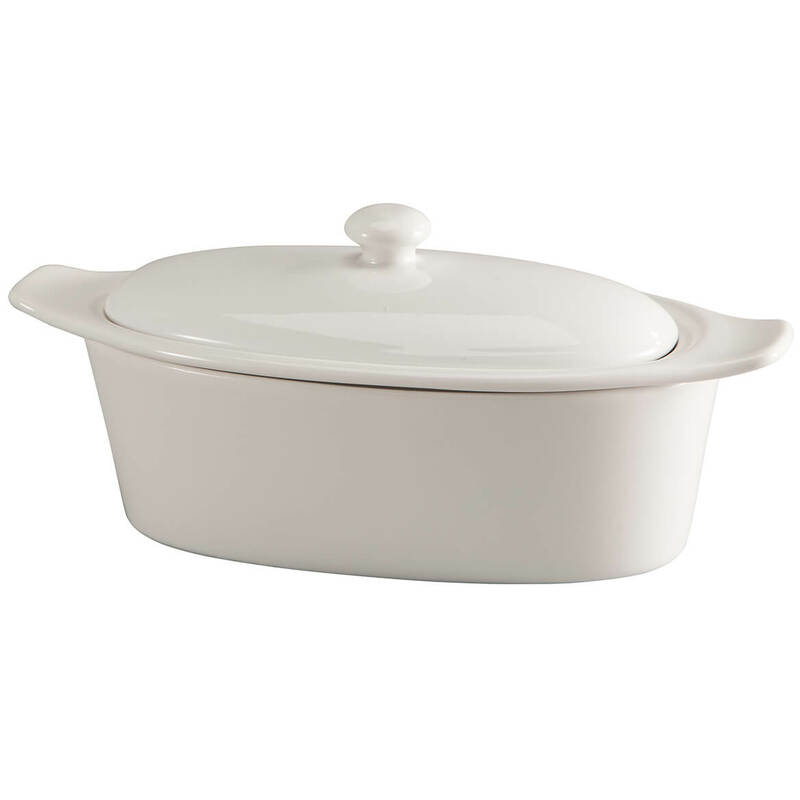 I needed a new butter dish and like the double container to keep butter cool. Clever design! I have one and it works great! So, I think everyone should have it too! I've been looking for a butter keeper but all of the b.k. that I found were round. I like the idea of having 1 stick of butter without smashing it into a round container. I prefer room temp. butter and this will keep my butter fresher. The butter keeper I have on the counter gets slippery. we live in the desert and in summer our butter is always melting and we don't want to put it in the fridge. What is the amount of water you put in the bottom? BEST ANSWER: Thank you for your question. There is a line on the inside of the butter keeper that marks where the water should not go past. Which would be about a 1/2 cup of water. We hope this information will be of help to you. Just about a quarter. Just as long as the water touches the butter dish.